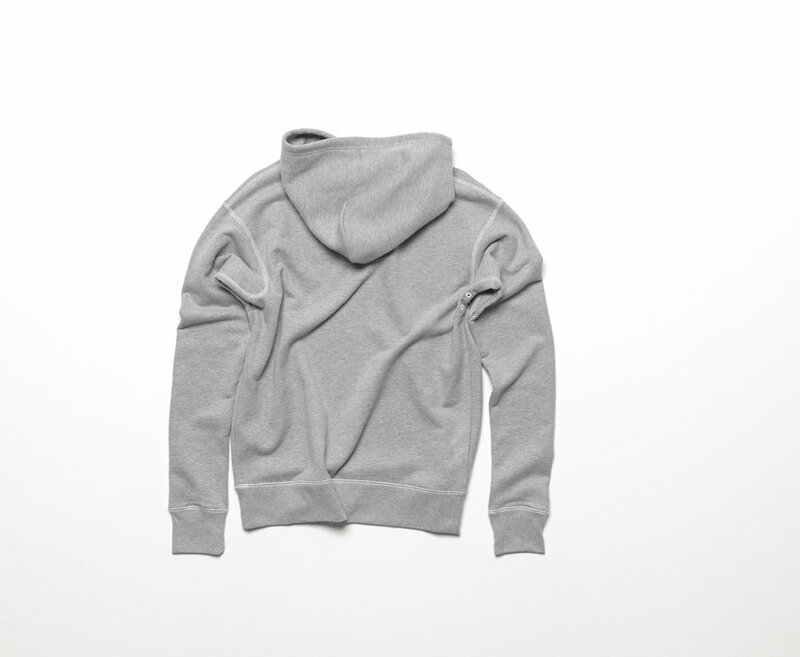 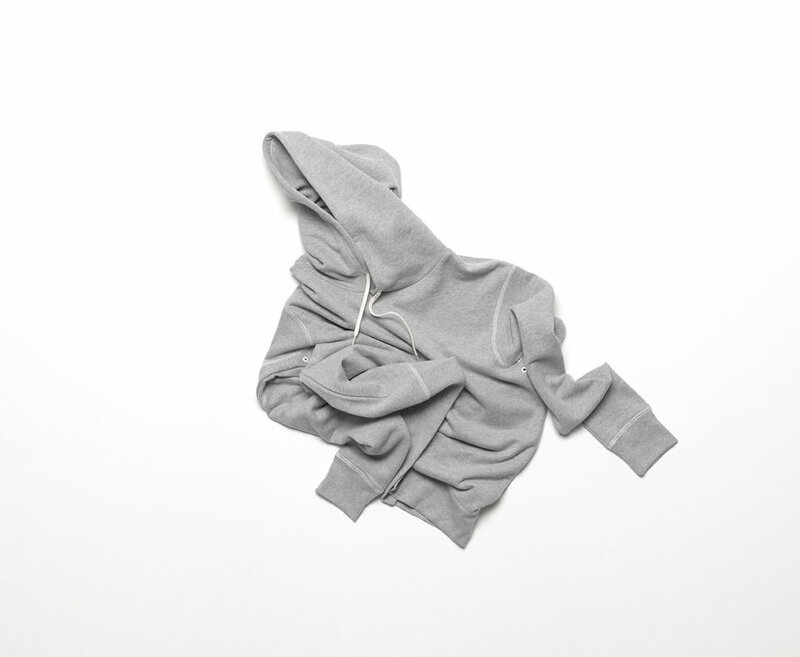 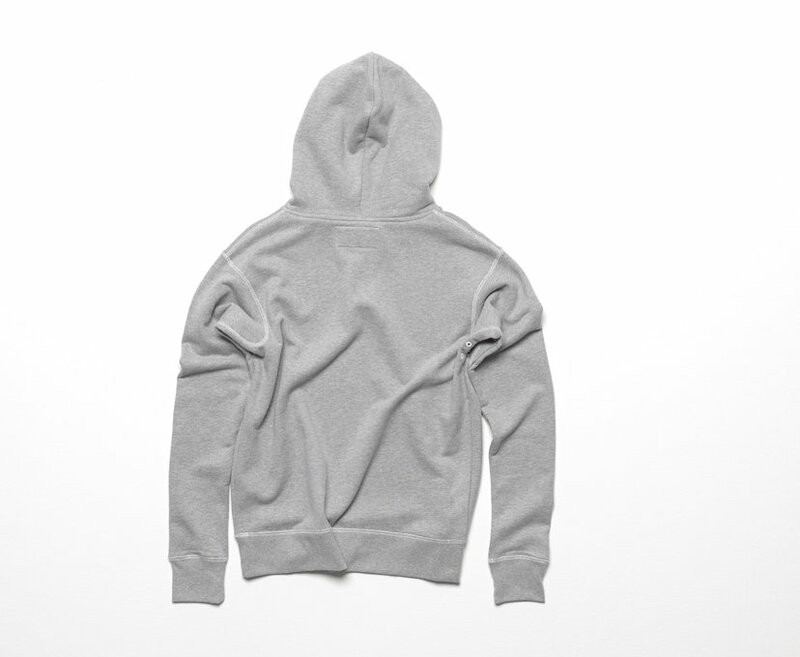 Unisex hood sweatshirt. 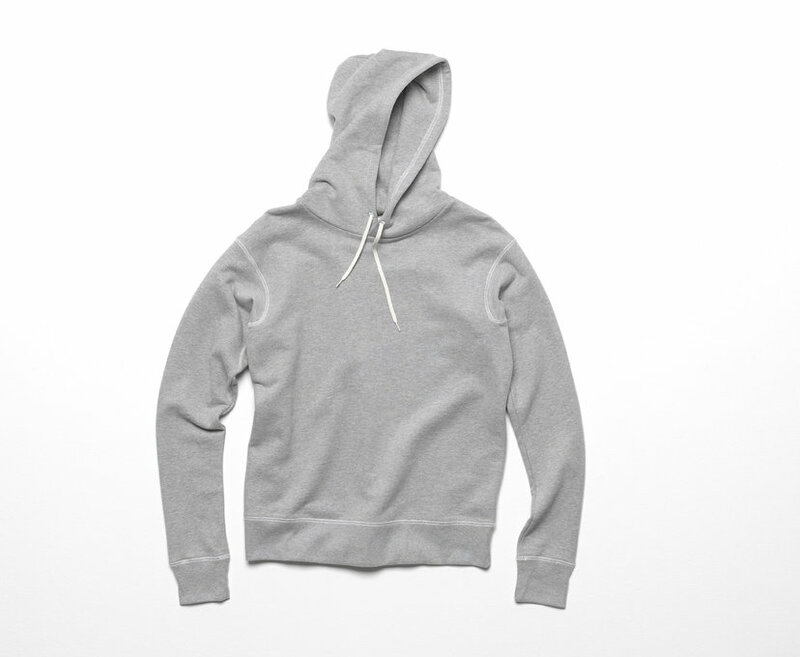 One piece double layered hood, drawcord adjuster, ribbed cuffs, embroidered pit-vents. 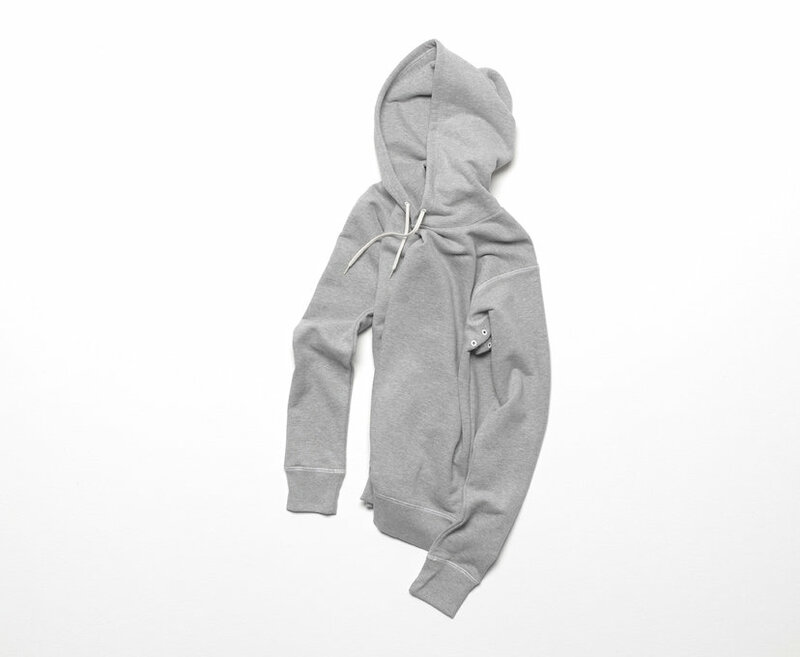 Boxy regular fit, long slim sleeves.